British Beatles Fan Club: Revolver at O'Connell's Bar, Kirkcaldy - FREE Entry! Revolver at O'Connell's Bar, Kirkcaldy - FREE Entry! It's 50 years since the Beatles played the Carlton Hall in Kirkcaldy on the 6th of October 1963. 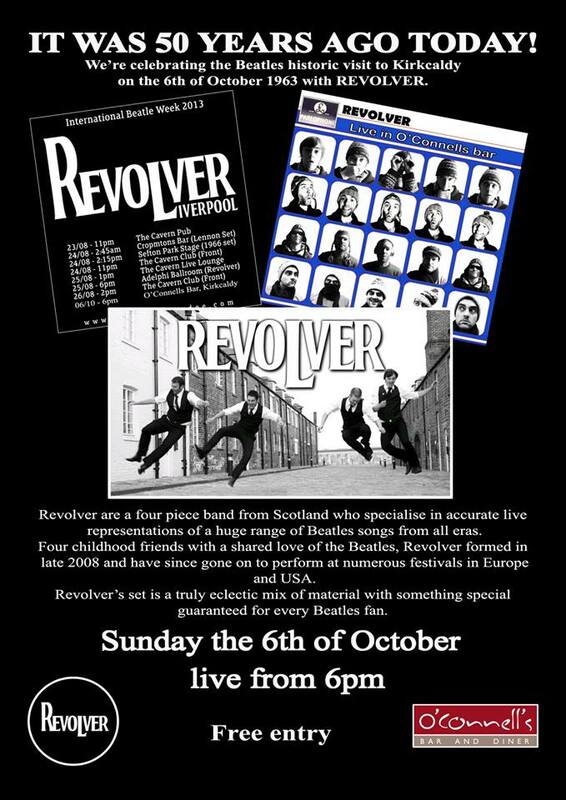 We're celebrating this historic event 50 years later on the 6th Of October 2013 with Beatles tribute Revolver. Free entry but you might want to get there early!